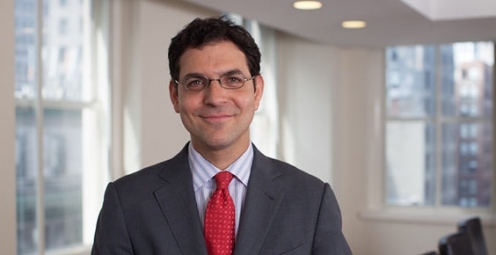 Marc Rosen chairs the firm's Litigation & Risk Management Department. Marc practices corporate and commercial litigation in the state and federal courts as well as before arbitration tribunals and regulatory agencies. Marc frequently represents private investment funds and their advisors and principals with an emphasis on prosecuting and defending complex business disputes; enforcing financial instruments; protecting the rights of stockholders in mergers and acquisitions litigation and corporate control contests; responding to regulatory subpoenas and investigations by the SEC, FINRA and the Department of Justice; advising investment funds owning debt of troubled companies, such as Enron Corporation, Lehman Brothers and Visteon Corporation; representing purchasers of distressed securities in bankruptcy litigation; and advising clients with respect to risk management and litigation avoidance issues. Marc has been named a “New York Super Lawyer” every year since 2013, and was recognized as a "Rising Star" in 2011 and 2012, by New York Super Lawyers. Defending a class action shareholders litigation alleging breach of fiduciary duty and related claims in connection with a going-private merger. Representing secured lenders in an action to enjoin a tender offer impairing their rights under a credit agreement and inter-creditor agreement. Enforcing investors’ contractual rights against an issuer for its refusal to convert preferred stock into common stock, to redeem securities or otherwise to comply with its obligations under the parties’ investment agreements. Representing joint venture in lawsuit by real estate developer seeking to enforce letter of intent with respect to sale of commercial. Representing noteholders in connection with credit default swaps in adversary proceeding brought by Lehman Brothers trustee, seeking recovery of monies paid by CDO special purpose vehicles based on bankruptcy avoidance powers and state law claims. Prosecuting claims against a company for failing to comply with an anti-dilution provision, to honor investors’ exercise of warrants and their rights under the parties’ subscription agreement, and to file a registration statement. Defending a hedge fund and its management company in multiple arbitrations brought by investors claiming breach of fiduciary duty, conversion and other business torts. Pursuing claims against a registered broker-dealer, acting as principal, for its failure to honor an agreement to sell certain securities. Representing large hedge fund lender in commercial mortgage foreclosure action relating to prominent art gallery and related real property. Defending an investment fund and its advisor in a class action lawsuit asserting consumer protection claims and RICO violations. Representing a large investor in multiple litigations seeking to enforce its board composition rights and certain drag-along rights in a merger. Defending corporate borrowers, in federal litigation, alleged to have breached loan agreement, guarantee and related contracts. Defending property owner in arbitration and litigation brought by general contractor in connection with renovation of $20 million townhouse in New York City. Representing acquirers of distressed bank debt in a fraud action against certain banks for their role in the collapse of Enron Corporation. Defending investment fund and its principal alleged to have committed fraud and participated in a Ponzi scheme. Pursuing claims on behalf of lenders to foreclose on mining assets following a default under a credit agreement. Defending a group of shareholders claimed to have breached contractual representations and warranties in connection with a merger. Defending judgment enforcement proceedings on behalf of an investment fund’s affiliates. Representing objecting beneficiaries in surrogate court accounting proceeding brought by bank-executor. Defending fraudulent conveyance action in adversary proceeding seeking the recovery of monies paid during an alleged Ponzi scheme. Defending developer alleged to have breached joint venture agreement in connection with the development of condominium units. Representing noteholder in action claiming an event of default under a trust deed and seeking liquidation of collateralized securities.